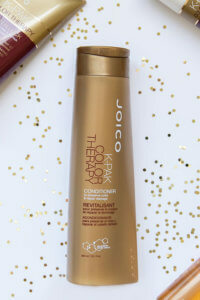 Imagine a 5-minute treatment that amps up the intensity of haircolor; quenches each strand with the richest conditioners; adds the serene sheen of green to blondes...and lasts up to 10 shampoos. 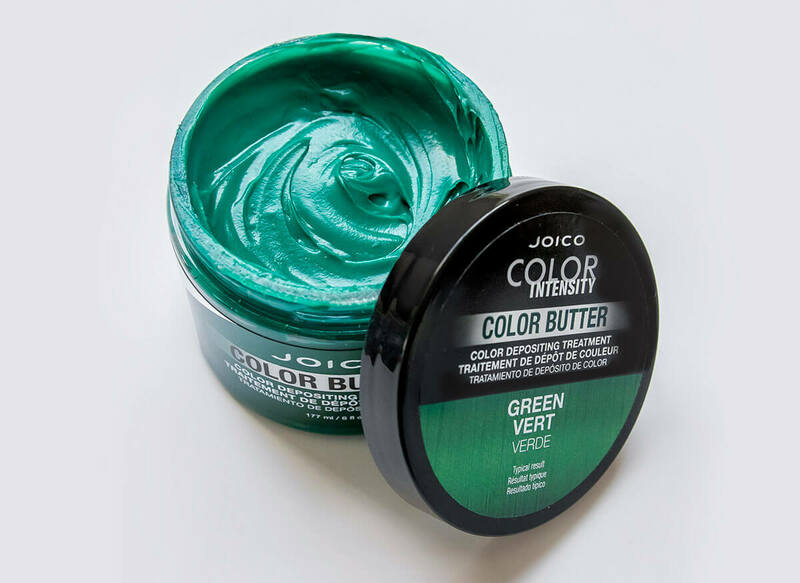 You get all that and more with Color Butter Green—a brilliant, commitment-free hybrid that combines fun color and reparative function in one luscious tub. 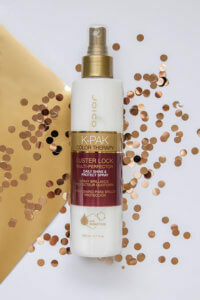 I love this stuff! I’ve been using the green on a streak in my hair and I couldn’t be happier. 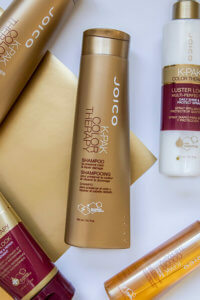 The color is vibrant, only takes 5 minutes to set, and lasts about 6 washes. It also doesn’t stain my hands and face the way other color dyes do. 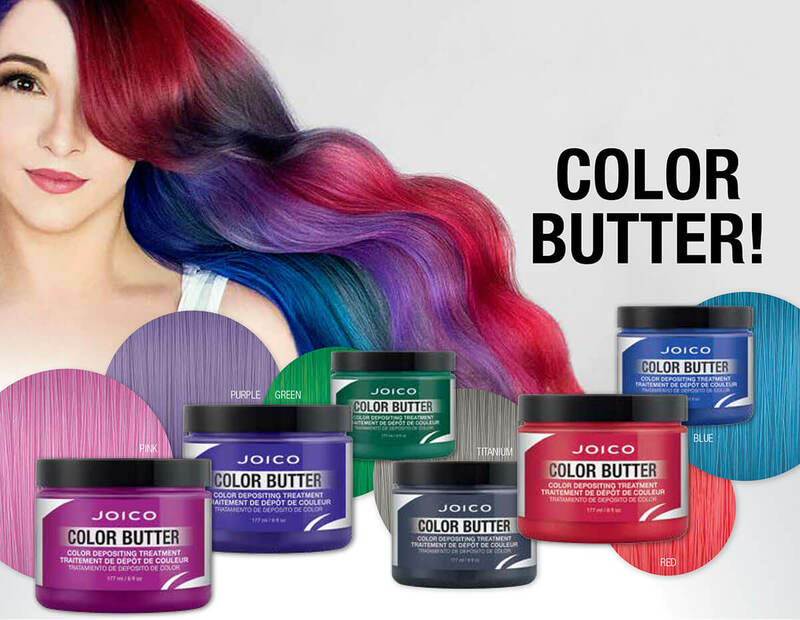 From playful pops of kelly color to enviously green tones that need some punch, Color Butter Green revs things up in mere minutes, leaving hair blissfully shiny and soft to the touch. 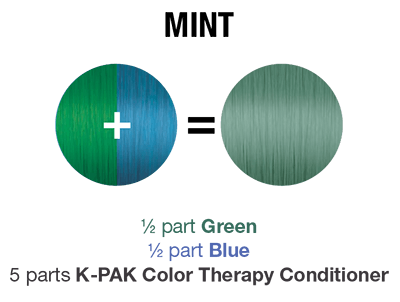 Option 2: When vibrant, semi-permanent color begins to fade, Color Butter Green reignites the shade, restoring hair’s condition, strength, and luster between salon visits.